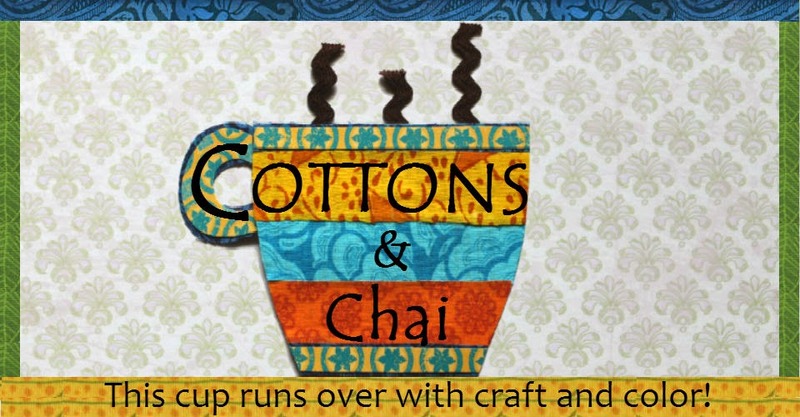 Cottons & Chai: Door Decor to Welcome Warm Weather! And welcome spring with vibrant blooms! 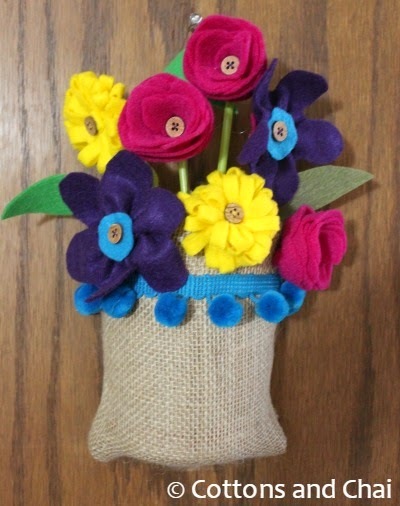 And without further ado let me spring forward to today's craft - not a bunch, not a bouquet but a whole sackful of felt flowers to spruce up the front door! 1) A used yogurt container, washed and dried. 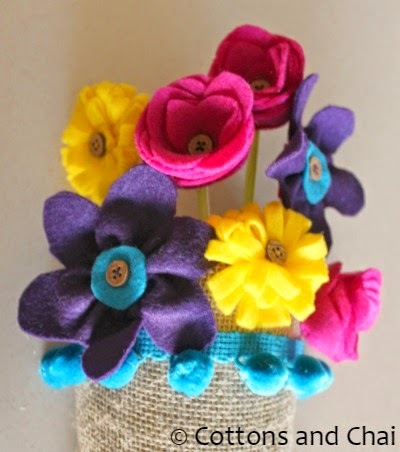 I usually make fabric flowers, but knew felt ones would be easiest and quickest. There are tonnes of tutorials on the internet on making felt flowers; I chose these 3 to get three different kinds of blooms. Once I got the flowers done, I cut the yogurt container in half to get a cross section. 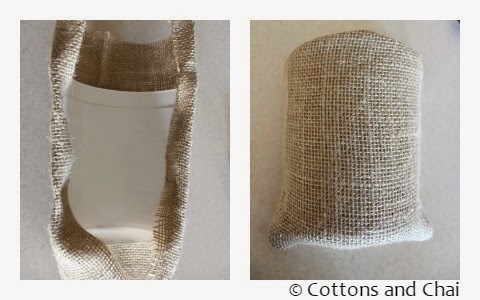 Then I covered the convex surface with the burlap to create the sack effect. I tried stapling it together but it got too thick on the folds. However, the glue gun worked like a charm! I glued a piece of pom-pom ribbon to the sack just to amp up the cute quotient. 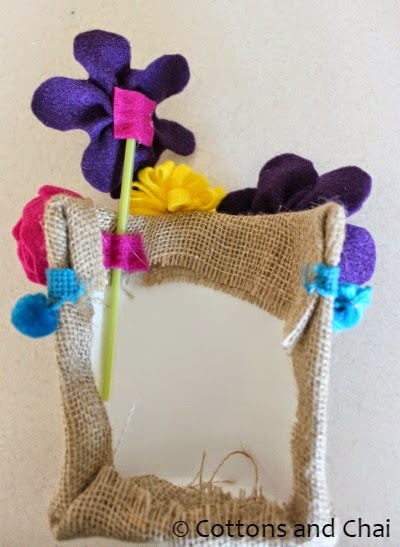 Then I stuck a few of the flowers on green straws and reinforced them by using a waste piece of felt across the straw. Then came the actual flower arrangement. I started gluing the non-straw flowers to the front edge of the sack first. Then I flipped it over and glued the straws to the back surface after eyeballing the placement from the front first. And here I've finished arranging all the flowers on the sack. I like how a couple of stems peek out from behind the blooms. Next I attached thread through the sides of the container - a needle passed through with just a bit of coaxing and finally I hung it up on the front door!